The birthday of Dr James Parkinson, who first described the disease in 1817 has officially been made world Parkinson’s disease day. With a red tulip as the symbol to show support and assistance for those afflicted, and to aid researchers on their path to finding a cure though donations, this day has become significant. On this day, the 11th of April, previous years, millions of people around the globe has been wearing a red tulip to raise awareness about this common disease. Although the red tulip day is only a few years old, the tulip has been used as a symbol by advocacy groups in America as far back as 2005. On top of that in the US and Canada, red tulip day is only part of a bigger series of events in April which are all part of what is called Parkinson’s Awareness Month. Currently there is close to 10 million people across the globe living and coping with this chronical and progressive illness. And like with many diseases of this type its one to not only effect the life of the one inflicted, but also the lives of their families and friends. Parkinson’s disease symptoms are commonly detected in the diminishing motor functions of the individual in question, however other symptoms below the surface are often also present. These include joint ache and pain, mood disorders such as depression and sleep disruption. All things which take a heavy toll on the mental wellbeing of a person. Currently there is no cure of this illness, and although for some there is the option to go though brain surgery, this is also not a cure, only something to help relieve the symptoms of the patient. 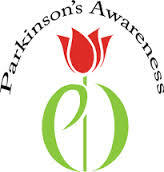 So ensure that you are aware and show your support by wearing a red tulip for next Parkinson’s disease day on April 11! There are a whole array of different forces working on the world today, many of which come into our view simply due to the fact that they are related to us, people. Howe we live, how we die and all there is in-between. Some people of great talent, drive and morals are in the field of medical research, and today we would like to send out a special thanks to all those who are giving so much or their time, energy and life force to the great cause of trying to help people who suffer this disease. And there is a great number, there are millions across the globe which today are affected by the disease, and that not counting all those who it effects though relatives and friends. We have made some suggestions and some pleads for you also to do your part by donating to a great cause, however of course we understand that there are many great causes out there and one cannot always respond to all needs. However if you know someone, or if you yourself is held within the destructive rains of the disease, you can see, and perhaps also directly experience the struggles yourself. Hopefully there are enough good souls out there to help the heroes of today. 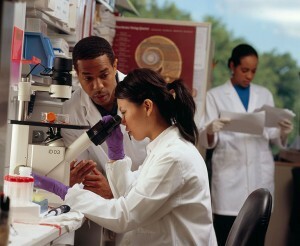 We send out our appreciation and gratitude to the unsung heroes of the world, the kind who wears a lab coat not a cape. If you have questions for us, or need suggestions of contacts or need direction in as to how you can proceed with helping in the best way you can. Please don’t hesitate to send the team here a message today.